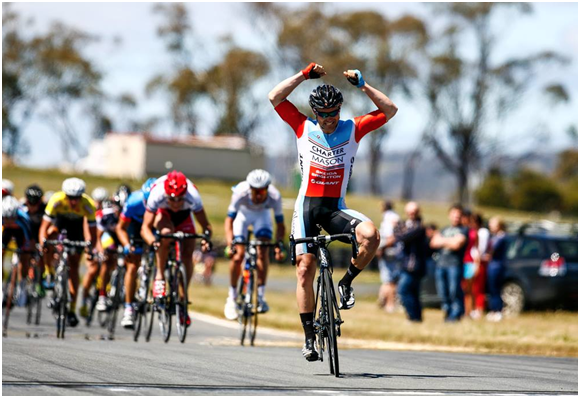 I recently interviewed one of Australia’s best amateur sprinters, Shannon Johnson, to get an idea of the key factors that have made him so successful on the bike. What I learnt, however, was not what I expected. Shannon took up road cycling as a hobby at the age of thirty after he relinquished a career as a professional superbike rider. As someone who clearly loves to compete, it wasn’t long before Shannon was looking for ways to race the bicycle, with criteriums being the obvious introduction. It wasn’t a hard transition for Shannon as the handling skills of his superbike days quickly became a huge advantage on a pushbike. 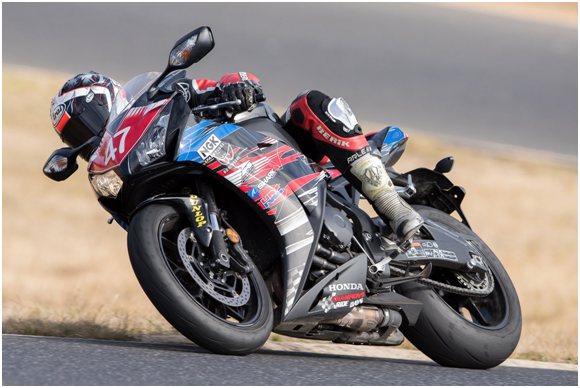 In fact, fighting for a place at fifty-five to sixty kilometres an hour on a roadbike came easy in comparison to the 300 kilometres an hour he would have previously encountered in a superbike finish. Outside of the handling skills, it soon became apparent that Shannon also had genetics on his side. He was winning crits at an A grade level and was soon picked up by the Kosdown Cycling team. 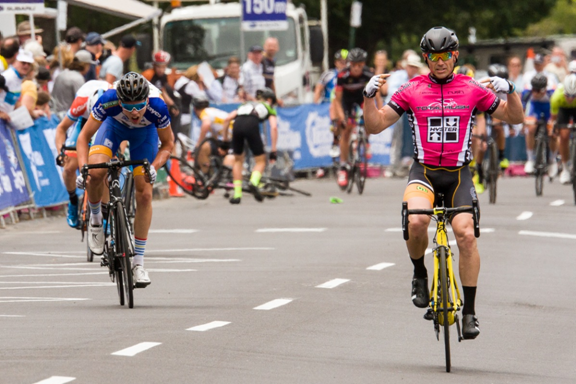 Another string of strong performances, including an overall win at the Baycrits support race, saw Shannon continue to climb the amateur ranks and join an NRS team – Charter Mason. Not bad for someone who had only taken up cycling two years prior! When you’re a competitive beast, have the skillset to read a bike race better than most, can punch out almost 1,600 watts and hold 1,400 watts for ten seconds at a time you’re quickly going to catch up to more experienced riders. At Charter Mason Shannon was exposed to a whole new level of racing, but once again proved his worth. He had multiple wins in road races and criteriums at NRS level, proving that you’re never too old to make your mark on the sport. Shannon was thirty-two when he started riding at NRS level and has wrapped up his career (at least for now) at age thirty-five to focus his attention on family and a new business he’s started: Bicycle Centre in South Morang, Victoria. Shannon on the super bike. Shannon’s success on the bike has come from a smart approach to training and racing mixed with natural ability, grit and determination. As a dad, husband and full-time worker there was never much time in the day for Shannon to train like a typical NRS rider. He wasn’t able to go out on five to six hour long rides a few times each week, nor could he find the time to fit in thirty-minute stretching sessions or the odd Pilates class. For Shannon it was all about fitting in training sessions here and there. As a result, Shannon would do things such as ride to and from work – a round trip of roughly sixty kilometres a day. On the days he could squeeze in some extras, he’d do a long loop on the way home to make it a hundred kilometres for the day. Between traffic lights, on the disrupted route from the North side to the South side of Melbourne, he would do track stands and sprint to the next traffic light. Shannon’s training routine also included a couple of weight sessions per week. His program would consist of core and leg strength exercises that help produce power in a sprint finish. Shannon would do four sets of ten reps of exercises such as deadlifts, squat jumps (with weights over his shoulder), wobble board exercises etc. He would keep his cadence high and only rest for sixty to ninety seconds between sets. Kind of like replicating a criterium, only with weights! Shannon started riding motorbikes when he was two years old. From the age of ten he was racing them religiously. Shannon has an innate sense of bike racing built into his DNA. Whether it is weaving through a bunch, following the wheel in front to optimise energy consumption or hitting a corner at over sixty kilometres per hour, Shannon’s handling skills are one of the most potent weapons in his arsenal. “It’s as simple as being loose. Most riders tense up into corners or in bunches which inadvertently causes them to drop the wheel, lose position or even crash.” Through his superbike experience Shannon has developed a confidence which enables him to be constantly riding in unison with the bike. Shannon taking at the win with Charter Mason at an NRS event. Prior to speaking with Shannon I was expecting to hear about a strict routine of sprint training involving a meticulous warm up plan, a large number of training sessions and gym workouts coupled with a big focus on eating habits and all the other peripherals that go hand in hand with bike racing. I did not get that. Whilst the above ingredients certainly contribute to Shannon’s success on the bike, by far, the overarching success factor that resonated most was his visualisation techniques. Shannon contributes a large part of his success to the way he prepares himself for a race. In the days and hours before a race he uses visualisation to plan his way to victory, considering variables such as competitors, the course, weather and his own physical condition. Shannon uses the power of “The Secret” – the theory that positive thinking and visualisation attracts like results. “Sure, I’m not going to win every race” says Shannon, “but if I’m not winning, I’m up there; that’s the power of positive thinking. Most cyclists rock up to crit races hoping to get round, and that’s all they do. I rock up to races thinking I’m going to win”. Shannon considered all the variables at hand and decided he was going to sprint as hard as he could from the second last corner to the last of the track. He would take the last corner at over sixty kilometres per hour, using his bike handling skills to get him through, knowing that there was a high probability of competitors making a mistake as they chased down his wheel. One rider couldn’t handle the speeds and took down race leader Darcy Woolley. Kelland O’Brien, placed second overall at the time, just missed the incident, leaving him to take first place, with Shannon finishing the series in second place. A fair portion of people reading this may find Shannon’s approach arrogant and some may be in disbelief that someone would be envisaging a crash. To put this into perspective, a crash in a crit race is like a solid hip and shoulder tackle in an AFL game. It happens every other game, causing some shock, but at the end of the day you get back up and move on. After speaking with Shannon for over an hour, it all gelled for me. Shannon is very confident, yes, but he does win races. Many of the well-regarded books I’ve read on success speak about goal setting, visualisation and sharing your objectives with others. This is exactly what Shannon does – he goes out there with a plan every single time and he’s not afraid to tell others. He’s got a clear line of sight by visualising what he sets out to achieve, leaving nothing on the road except blood sweat and tears. And then the results come. My personal objective in writing an article like this one is to learn from high achievers. From Shannon I’ve learnt that I should never be complacent about racing. If I plan to “just get around” that’s all I’m going to do. If I plan to win, using the skillset I have at hand, sure, I’m not going to win every race, but some days I will. And in-between all of that, I’m going to race like I mean it. Put the competitive beast aside and Shannon is a community man at heart. He’s set up Bicycle Centre South Morang to support the local community with their cycling needs. While the store has an array of road bikes available, Shannon and the team at Bicycle Centre are also well placed to assist daily commuters and families with everything from mountain bikes to hybrids and children’s bikes. As Victoria’s newest Bicycle Centre, the store is definitely worth a visit. Shannon has put together a special offer for Bike Chaser readers: Mention this article in store a receive $20 off a general bike service (typically valued at $85). The 10-Hour Cyclist – How to Get Ripped QUICK!